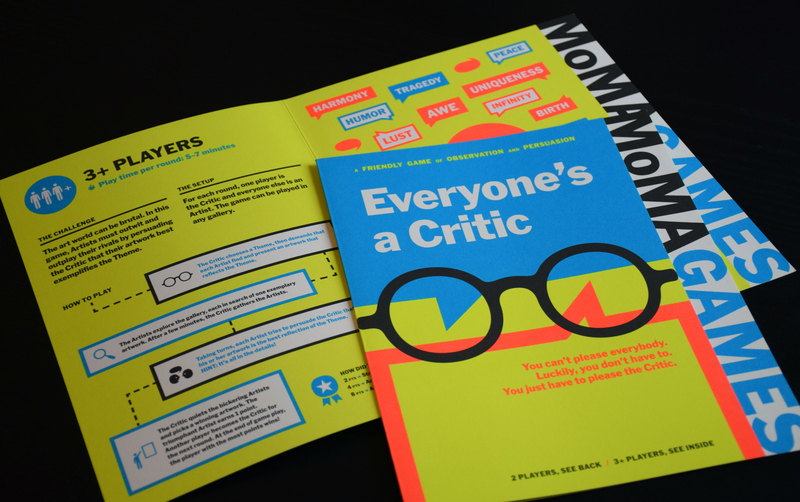 Everyone’s a Critic, designed through a collaboration between the Museum of Modern Art and the Institute of Play, is a friendly game of observation and persuasion. Players of all ages take on the role of artists and critics to try to outwit their opponents while discovering works of art in the museum’s galleries. Together with colleagues in MoMA’s education department, I was involved in the ideation, play testing, and editing of the game.